Today's weather report for the Internet: increasing cloudiness with a chance of strong winds (of change). IBM and AT&T both announced new services to compete for a share of the projected $46.4 billion market--a market predicted to grow to over $150 billion over the next 4 years--in the progressively crowded arena of cloud computing. If imitation is the sincerest form of flattery, Amazon should be very flattered. Amazon has more or less defined the market and has a relatively successful model for offering server capacity and storage space from the cloud. Both IBM and AT&T are closely following the Amazon blueprints to duplicate that success. IBM is rolling out the Smart Analytics Cloud service which leverages the petabytes of accumulated business data IBM has archived over the years. IBM is eating its own proverbial dog food, already adopting the service internally under the name Blue Insight. The Smart Analytics Cloud will enable customers to analyze information from their own data storage combined with data from the IBM archives to extract valuable business insights. The AT&T cloud service, dubbed AT&T Synaptic Computer Services, delivers on-demand computing-as-a-service (CaaS).The AT&T cloud is built on the Sun Open Cloud Platform and utilizes Sun Cloud API's in conjunction with a VMware virtual environment. The AT&T cloud is much more similar to the Amazon offering a self-service portal that enables customers to add computing power or storage space on the fly. The new services from IBM and AT&T add to the list of major technology companies already on the cloud computing bandwagon. With names like Google, Amazon, and Microsoft in the fray there are two things you can be sure of: 1) cloud computing is here to stay and the market will continue to expand and evolve, and 2) any company that jumps into cloud computing better be ready for a fight. Although cloud computing is a growing market and is gaining acceptance, the industry still faces some challenges. Issues like the recent Sidekick data debacle or Google's Gmail outages shake customer confidence and make companies and individuals think twice about relying on third-party cloud-based services. It is debatable whether either of those instances is a reflection of the stability or security of cloud computing services in general, but perception is reality and companies like IBM and AT&T still have to address those concerns. 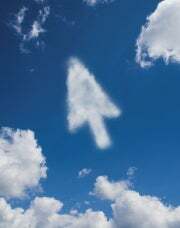 As the nascent market matures, it needs to clearly define what cloud computing is and isn't to avoid confusion or cloud computing backlash when isolated instances occur. I do have one suggestion for IBM and AT&T though--work on the name. From a branding standpoint Azure sounds pleasant and inviting, and EC2 is at least catchy and easy to remember. Smart Analytics Cloud and Synaptic Computer Service sound ominous and invoke images of starting World War III by playing thermonuclear war with WOPR.